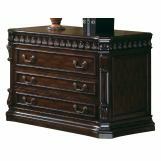 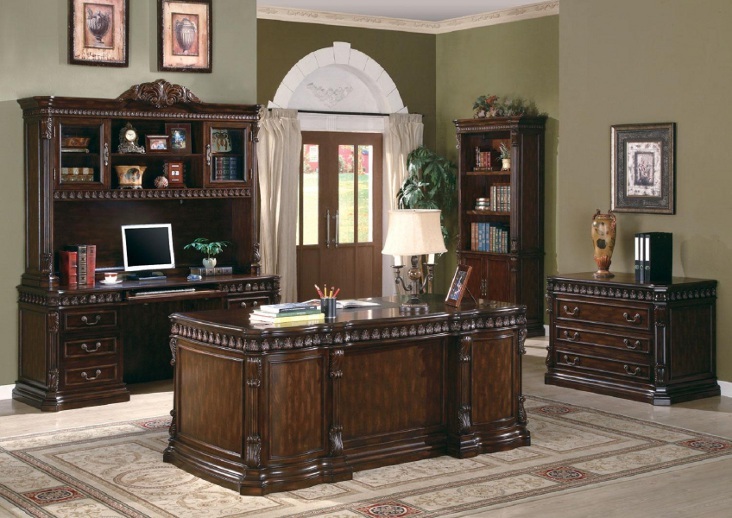 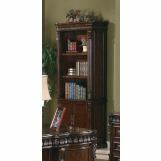 The Tucker Home Office Collection features a large scale and elegant traditional style for a grand look in your room. 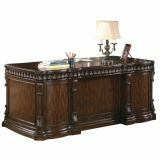 With sturdy wood construction, in a warm Rich Brown finish, these pieces are sure to complement your decor. 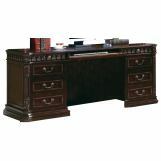 Felt lined top drawers, computer keyboard drawers, built in power strips and lighting, and wire management holes all add to the great function of each of these home office pieces. 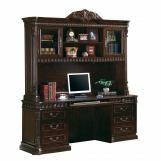 Intricate details including classic molding, acanthus leaf carved trim, and fluted columns create a sophisticated traditional style, for the perfect blend of beauty and modern functionality in your home office.